By 1850 California was no longer just a provence of Mexico, it was part of the United States, producing one-third of the world's gold. What happened next was a period in history remembered more romantically than it actually was. 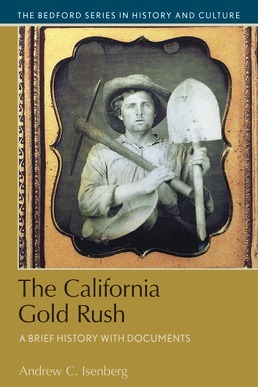 Presented within its social and enviornmental consequences, California Gold Rush breaks down the controversies and paradoxes that dotted this time period in history. Few prospectors made it rich, violence ran rampant, and mining took a severe toll on the enviornment. See the Gold Rush from all sides in order to better comprehend the impact of this piece of our country's history.